The Middlesex County Museum & Historical Society is pleased to bring “Architecture’s Hidden Secrets: A Presentation by Calder Loth” to Dozier’s Regatta Point Marina (137 Neptune Lane in Deltaville, Virginia) on Sunday, March 10 from 3 to 5 p.m. 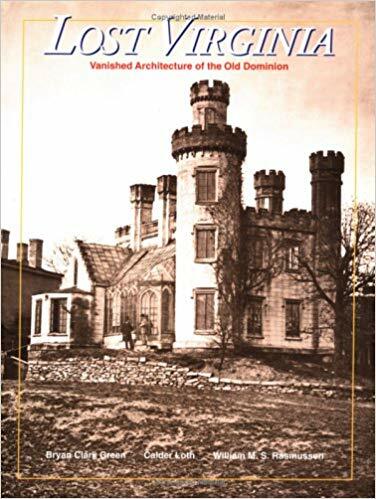 The book “Lost Virginia” is a record of more than 300 of Virginia’s Architectural Heritage structures that address domestic, civil, religious and commercial buildings. Tickets are $25 and include appetizers with a cash bar. Loth currently teaches architectural literacy for the Institute of Classical Architecture and Art in New York and other venues. He is also vice president of the Center for Palladian Studies in America and a member of the Virginia Art and Architectural Review Board. His publications include “The Virginia Landmarks Register,” “Virginia Landmarks of Black History” and “Preserving a Legacy.” In addition, Loth is the author of numerous articles relating to historic preservation and classical architecture. In 2008, he was the first recipient of the Secretary of the Interior’s Preservation Award for service to state preservation programs. In 2010-2011, Loth served as a co-curator of the Royal Institute of British Architecture’s exhibition “Palladio and His Legacy, A Transatlantic Journey,” and was the author of Congressional Resolution No. 259 honoring the 500th anniversary of Palladio’s birth. Ticket holders who purchase online HERE will be placed on a “will call” list that will be available at the door. In addition, you may make a check out to the Middlesex County Museum and mail it to the Middlesex County Museum, or come by the museum Saturdays from 10 a.m. to 3 p.m. and purchase tickets in person. We owe a BIG THANK YOU to Dozier’s Regatta Point Marina for being the venue for this special event.